The De La Salle Medal Dinner, held each year in New York City, is Manhattan College's biggest fundraising event. The 43rd annual De La Salle Dinner was held February 7, 2019 at the Grand Hyatt in New York City. 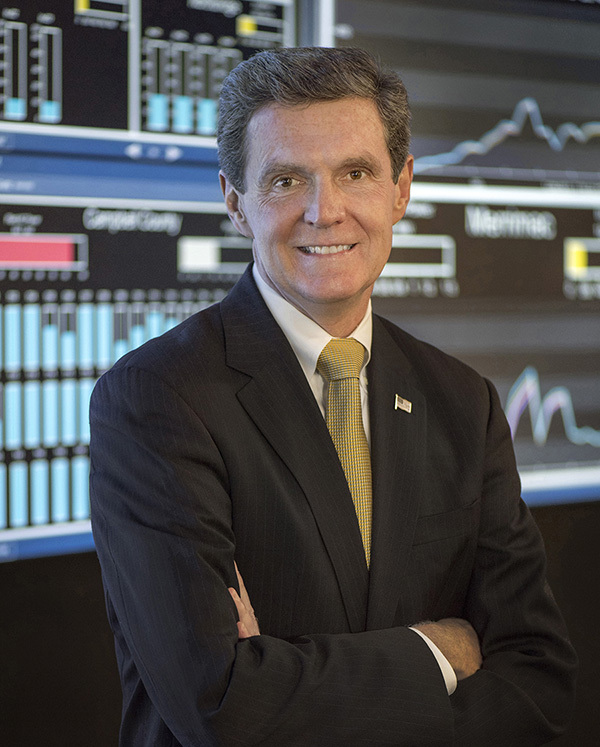 John McAvoy is Chairman, President and Chief Executive Officer of Consolidated Edison Inc.
Mr. McAvoy oversees the company’s two regulated utilities, Con Edison Company of New York, and Orange and Rockland Utilities, which energize the lives of the 10 million people in its service territory. Under his leadership, Con Edison has invested more than $4 billion in renewable energy projects through its Clean Energy Businesses. Today, Con Edison is the second largest producer of solar energy in North America. Mr. McAvoy oversaw the creation of Con Edison Transmission to focus on growth opportunities associated with transmission and energy storage. Mr. McAvoy serves as director on several boards, including the American Gas Association, the Electric Power Research Institute, the Edison Electric Institute, the Partnership for New York City, and The Mayor’s Fund to Advance New York City. He also serves on the boards of Manhattan College and the Intrepid Sea, Air & Space Museum. Mr. McAvoy holds an MBA from New York University and a bachelor’s degree in mechanical engineering from Manhattan College. He was awarded an Honorary Doctor of Humane Letters degree by Mount Saint Mary’s College, and is a graduate of the David Rockefeller Fellows Program. Prior to becoming Chairman of Con Edison, he served as President and Chief Executive Officer of Orange and Rockland Utilities, and Senior Vice President of Central Operations at Con Edison of New York. Mr. McAvoy has held numerous positions in operations and engineering since joining the company in 1980.